I’ve had a few people ask me just recently what method I would recommend when planning a long term backup strategy. One elderly gentleman in particular was creating a family time capsule that he wanted his children and grandchildren to be able to view many decades from now. The question isn’t as easy as you may think. You may imagine that the data could be burnt to CD, locked in a cupboard and that it would last forever however unfortunately this isn’t the case. There are literally hundreds of suitably stored but physically decayed CD’s from my teenage years which I could use as testament to that. Hard Disk – When used on a regular basis a hard disk will typically last for around 5 years before it starts to decay and if it is being used as an infrequently accessed backup drive then we can assume that this can be at least doubled. Unfortunately degradation of the discs metallic surface, along with the inevitable seizing of parts would still occur over an extended period of disuse. 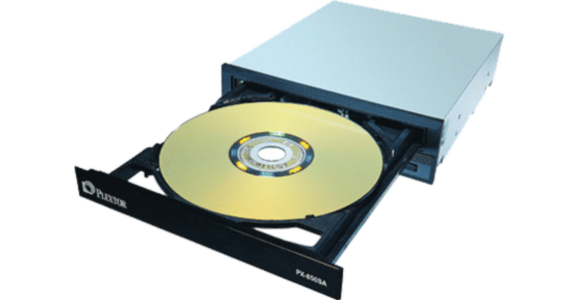 Optical – Standard optical media includes CD, DVD and BluRay. If choosing this media type ensure that you go for the highest grade money can buy you; a premium brand such as Taiyo Yuden may well last a decade but a more budget brand such as Memorex may only last half that time before the aluminium starts separating from the plastic. Flash Media – Clearly you would expect that since Flash Media has no moving parts it would be ideal for a long term backup strategy. To an extent you would be right but the published data retention of a unused flash drive is only around 10 years and unfortunately once the device has reached the end of its life it is likely that it will go out in style, taking with it all of the information stored within. Paper – Rather obvious this one – if left in a dark, dry place then paper will last for many decades; we recently recovered a number of newspapers from 1964 from below the flooring of a building we’re doing up and aside from being a little yellowed they’re in perfect condition. Primary problems do of course include having to find a safe place to store them along with the physical limitations relating to the amount and type of information that can be stored on sheets of paper. Tape – This may come as a surprise, but Tape backup actually holds one of the best data retention rates hence its continued use in banking and government sectors. Typically a manufacturer will warranty a tape for 30 years with an expected life expectancy beyond that. Although the tapes themselves are affordable and the capacities typically high (between 72GB and 1TB compressed), the actual drives themselves are relatively expensive, starting at £250 for a basic model.